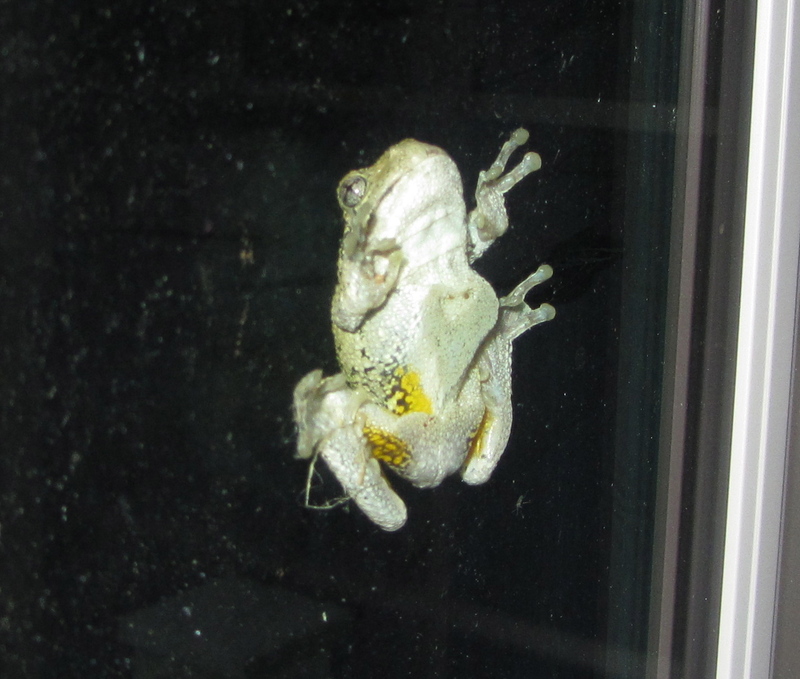 I met Fred late one night when I came in from my garage to the kitchen and saw something at one of the kitchen windows. 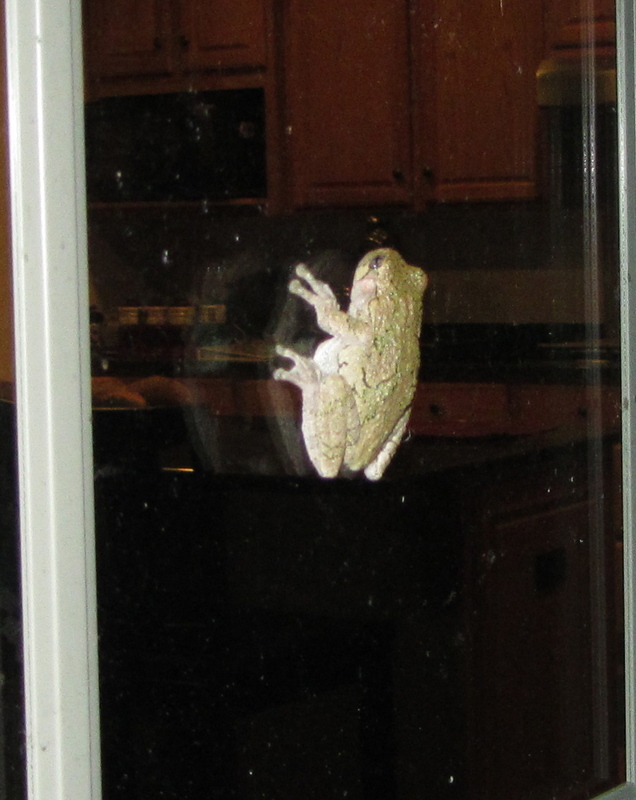 I jumped a bit and about screamed because my kitchen windows are 2nd floor height from the ground… NO ONE should be looking in them, especially not at 0300 some dark morning. Then I had to laugh at myself. It was Fred. Just hanging out in the middle of the window. Literally. Just hanging there. Since then, Fred has been hanging around a lot. He’s been seen on the deck a few times (and almost gotten stepped on more than once). He’s tried to come into the house when I left the door open for a minute too long once; I had to scoop him up and “encourage” him to hop down a few steps from the deck. And I caught him on the grill cover one day when I picked it up to recover the grill. He scared me then, too, when he came hopping out as I picked it up. Apparently, Fred likes it on the deck. There’s bugs for him to eat, shade to keep him cool, and music to keep him entertained. But since he’s good company, he’s welcome to stay. I love it when these guys come to hang out. Wished I had seen this before you got here- I got bunches of those color-changing suction-footed amphibian types hanging all around here. Very happy to meet you, & hope we get a chance to do it again. Best regards to the other half as well!